You’ve asked and we’ve delivered. We’re excited to announce that our integration with Procore, one of the most used construction project management platforms, is now live. With this Raken and Procore integration, Raken users will now be able to sync their daily reports and photos with their relevant project in Procore. With the click of a button, all of your important project documents are stored in one, easy-to-access location. “At Raken, we strive to make the daily reporting process streamlined and pain-free for superintendents and foreman. 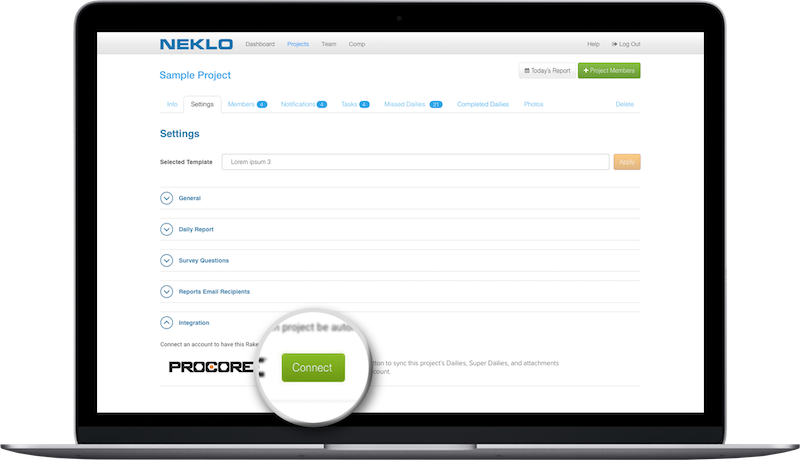 After hearing from a number of our largest customers that an integration with Procore would make their daily reporting and project documentation even easier, it was a no-brainer to build out an integration with one of the most ubiquitous and respected software companies in the construction industry,” said Raken CEO, Kyle Slager. Setting up the Raken integration with Procore is easy. Simply follow the steps below. For more information about getting started, visit our support page. New to Raken? Use the link https://raken.app.link/procore to sign up for a 15-day free trial.